Microsoft DCU is an international team that works with industry partners to help create a safe digital world. 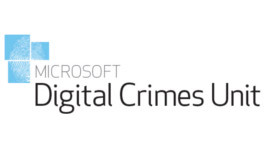 The Digital Crimes Unit brings together Microsoft’s experts across the areas of IP crimes, botnets, malware and child exploitation, in response to the greater intersection of these crimes. When focus areas intersect, like the connection between malware and piracy which we discovered in the Nitol and Citadel botnet operations, we can work better together to eliminate cyber threats to Microsoft’s businesses, customers and the entire digital ecosystem.